“YOKOHAMA Bakery Festival 2017” @Red Brick Warehouse | Why don't you go on a trip to Japan? 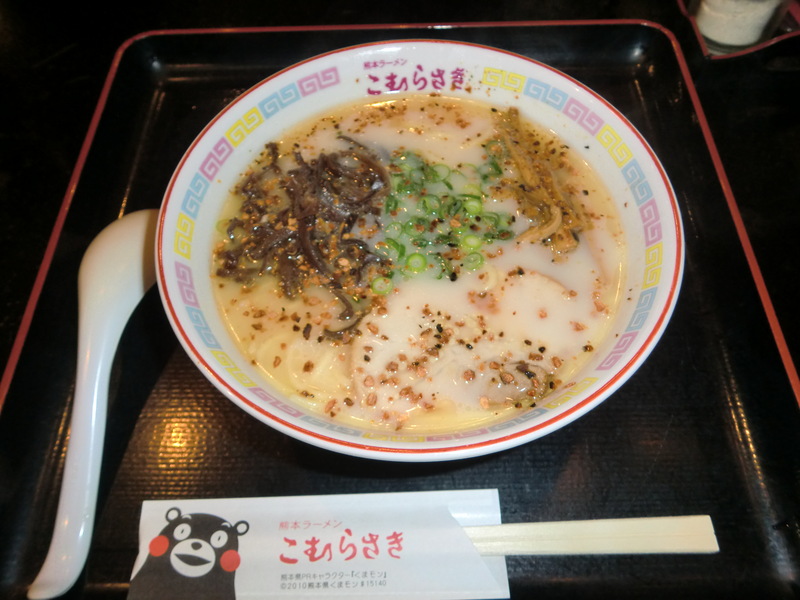 In autumn season, many food festivals are held in various places in Japan. 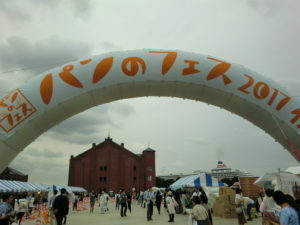 A bakery festival “YOKOHAMA Bakery Festival 2017” was held at the red brick warehouse in Yokohama for three days in September. 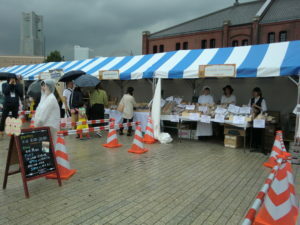 The festival has been popular for shop owners as a chance to introduce themselves, and for people who want to buy their food by the information from media or SNS like Instagram. I love bread!! I always eat it every morning. 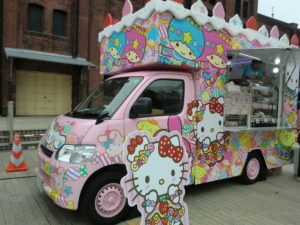 I want to try when get information about popular bakery shop. I would buy a bucket or cinnamon roll bread at the bakery I visit for the first time. These two items will be sold in most bakeries. So I compare these kinds of bread with other bakeries. 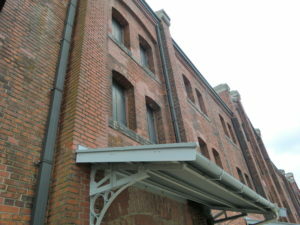 Talking back to the festival, I approached the venue, Red Brick Warehouse with sea bus from Yokohama Station. 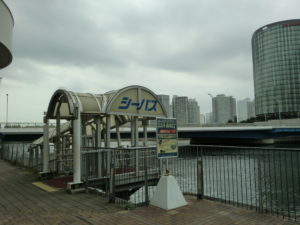 The sea port is the next Bay Quarter, shopping mall, at the east exit of Yokohama Station. 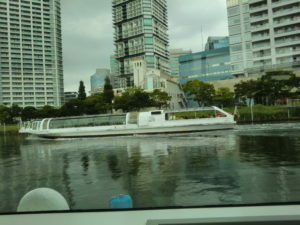 Sea Bas bound for Minato-Mirai, Pia Red Brick Warehouse and Yamashita Park, and operated about every 15minutes. It takes 20 minutes to get Red brick warehouse sea port. 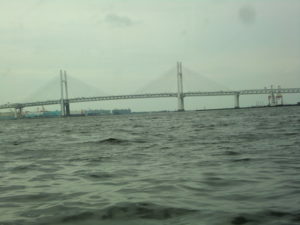 At that time, it was a typhoon approaching and thought that bad sea condition, however, it was not so much. 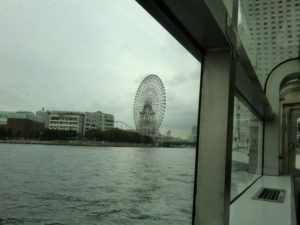 I enjoyed the sea bus with great view like the Yokohama Bay Bridge. You can also access to the venue by subway or bus from Yokohama Station. 15 minutes on foot from Basyamichi Station on Yokohama subway line. 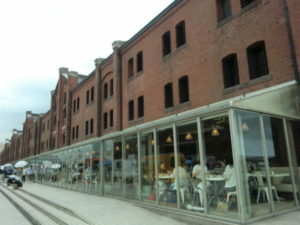 The Yokohama Red Brick Warehouse was originally used as a warehouse at the port. 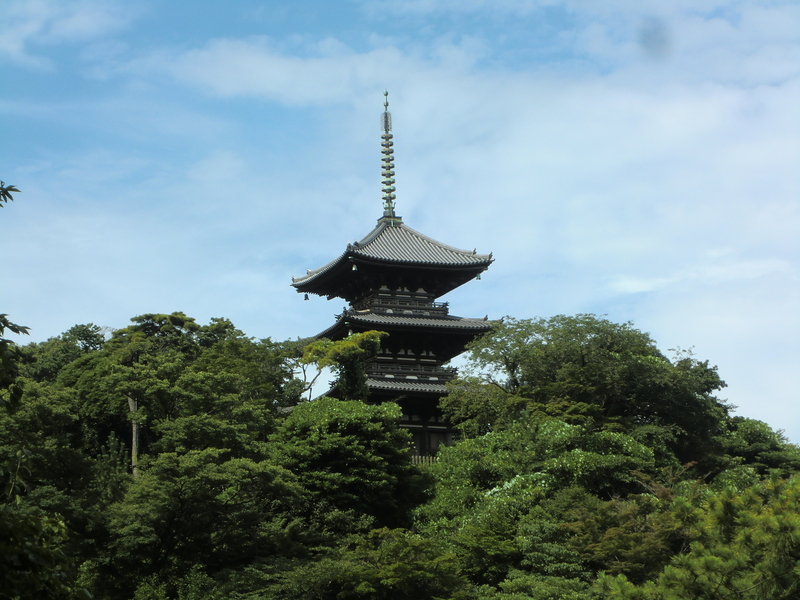 The warehouse consisting of 2 buildings is a historical building in the Meiji Era (1911). The buildings which finished the role of the warehouse has been reborn as a commercial facility, restaurants, bars and other shops. There is the Osan-bashi, one of the largest seaport in Japan next Red Brick Warehouse. 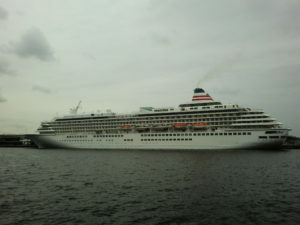 On that day luxury cruise liner ASUKA was stopping by there. Since the night view of the harbor is very wonderful, it is popular as a date spot. 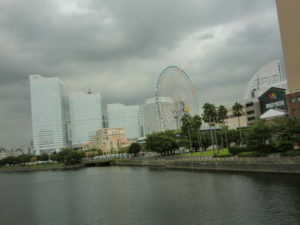 And it is one of the tourist attractions of Yokohama alongside Yamashita Park and Minato Mirai area. Approximately 30 bakeries were opening stalls in the square of this red brick warehouse. 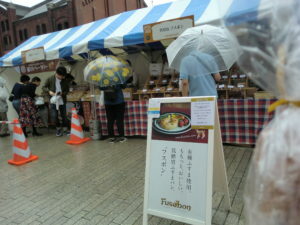 Unfortunately, it was rain that day, even though many people were lined the bakery shops. 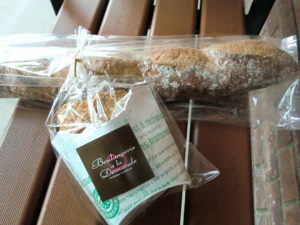 I did not have any special shop, but I was hungry so I bought some kind of bread at three stores and ate some there. 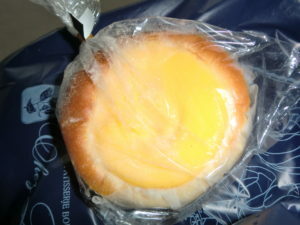 The bread with lemon-flavored cream was rich and very tasty. This festival was introduced on air the day after I visited. TV program showed the episode that popular bakery sold out completely first three hours. I am looking forward to next year. In Japan, it is often thought rice is a staple food, but of course there are many people who eat bread daily at breakfast and lunch. People might eat bread with salad, egg dish, fruit, yogurt, milk, coffee etc, which is the same as Western style.